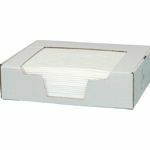 Our oil absorbents are hydrophobic - they won't absorb water - they only absorb and contain oil based and hydrocarbon liquids from water. They are quick acting and can be used with all fuels. They can be used outdoors, even in the rain, and will float on water. 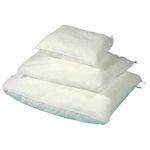 Available in a wide variety of sizes to suit any application, these oil absorbents (or oil sorbents) include pads, rolls, sweeps, socks, booms and pillows. Oil spills can be devastating. Regardless of the type of oil that was spilled, the amount and its location, SERPRO has the right type oil spill containment solution for you. For oil spills in lakes, streams or rivers, use Oil-Only Absorbent Socks, Booms and Skimmers. 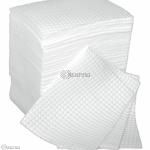 For oil leaks in production areas or fuel spills on floors, stock up on Oil-Only Absorbent Pads, Socks and Rolls.